Easter Peeps Bunny Bunting | Sew Lindsay, Sew! Rewind: A few years ago when I had just started sewing and was still looking to build up my fabric supply. 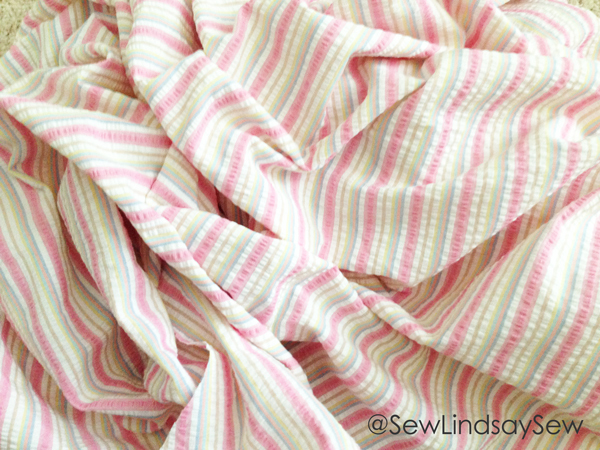 I spotted this heap (around 4-6 yards) of pastel striped fabric on SUPER MEGA CLEARANCE (honestly, I don’t remember the price anymore, but it was good) so I snatched it up, knowing that I needed lots of cheap fabric for practice, and that the pastel stripes weren’t that bad. Well, whenever it actually came to choose fabric for a project – I just didn’t want to use this stuff. The textured, pastel stripes hadn’t looked that bad compared to everything else in the clearance bin – probably because everything else in the clearance bin was really ugly, so it didn’t look as bad in comparison. Oops. This is when I first started to realize that I was a fabric hoarder. 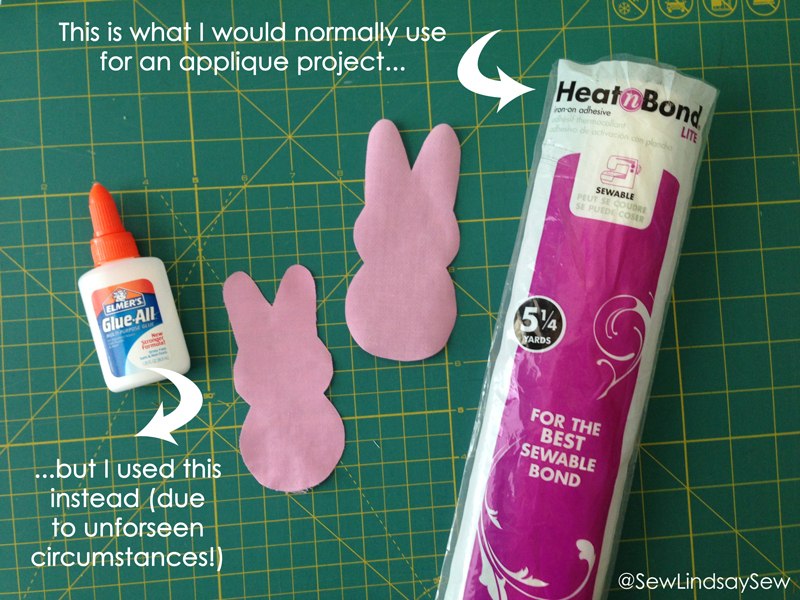 Fast forward: This past weekend, I really wanted to make the Peeps bunny bunting that I had included in the collection of Easter tutorials, but I didn’t have any felt on hand. And because I’m not letting myself buy new supplies unless the situation is dire, I had to be resourceful. Because, unfortunately, lacking felt for a Peeps bunny bunting is not an emergency. For my resourceful workaround, I decided to turn the Peeps bunnies into an appliqué for a triangular pennant bunting instead. After playing around with the fabric choices I already had in my bin, I decided that – for the first time ever – the pastel stripes were perfect! Do they scream “EASTER” or what? 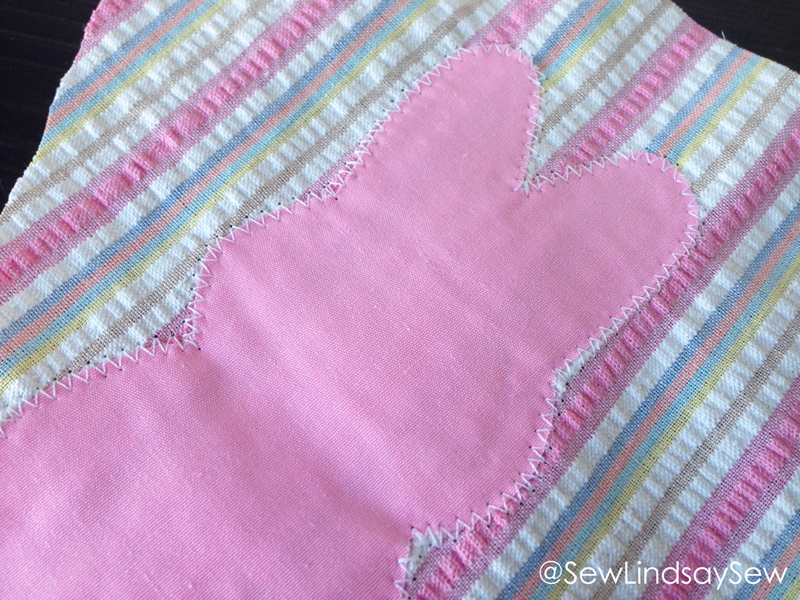 I made the bunnies out of some solid pink broadcloth I had leftover from a recent quilt… more about that quilt in an upcoming blog post! 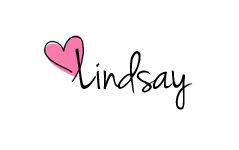 For any other appliqué project, I would have slapped some Heat n Bond on the backside of the bunnies, but the solid pink fabric was too sheer – when I laid the bunnies on top of the striped fabric, I could see the stripes through the bunny. No likey. So for this project, I first used some fusible interfacing on the back of the bunnies, and then used a little Elmer’s glue to stick them in place before zig zag stitching the edges. I gave them a quick press with a hot iron after gluing to make sure the glue set before I sewed. Not the most ideal process, but it worked. 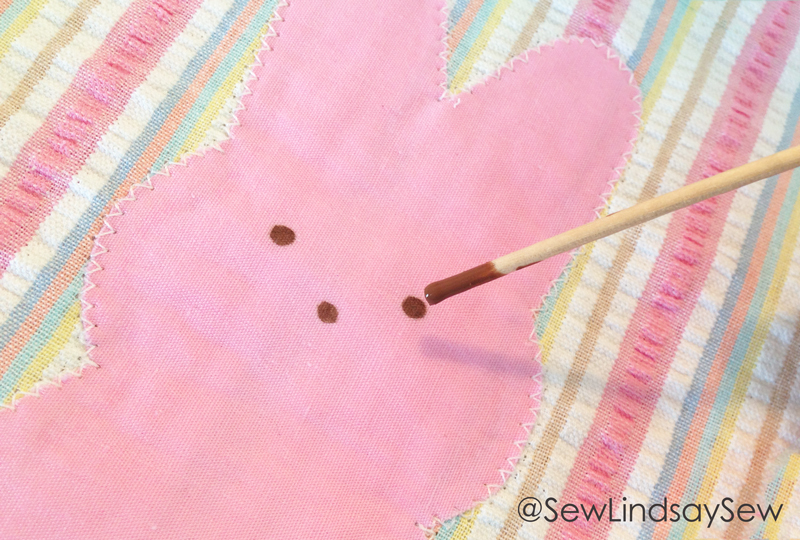 A little wooden dowel and a few dots of brown craft paint gave the bunnies eyes and noses! Sadly, it was just craft paint and not chocolate. I’m not really into perishable crafts. I used some turquoise fabric leftover from one of my country-inspired sewing projects to create a sort of double-fold bias tape to hold all of the pennants. I use the term “bias tape” loosely since I’m lazy and don’t actually cut on the bias when I use it for bunting purposes. 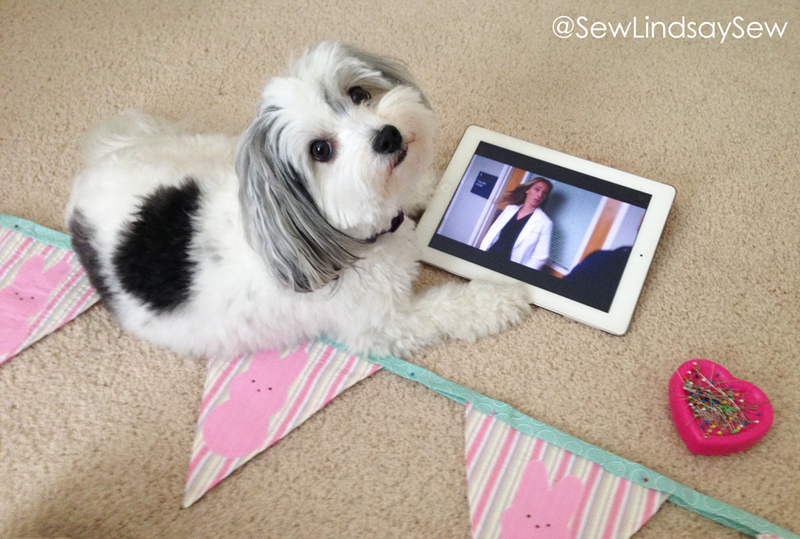 Oh yeah, and Winnie “helped” with this part by laying across the bunting as I was pinning, while successfully blocking my view of Grey’s Anatomy on my iPad. Good thing I love her. I made enough bunnies and pennants to make two sets of bunting – one for home and one for work! Each set has four bunnies in the center, and two “blank” pennants flanking each side. What projects are you all working on this weekend? 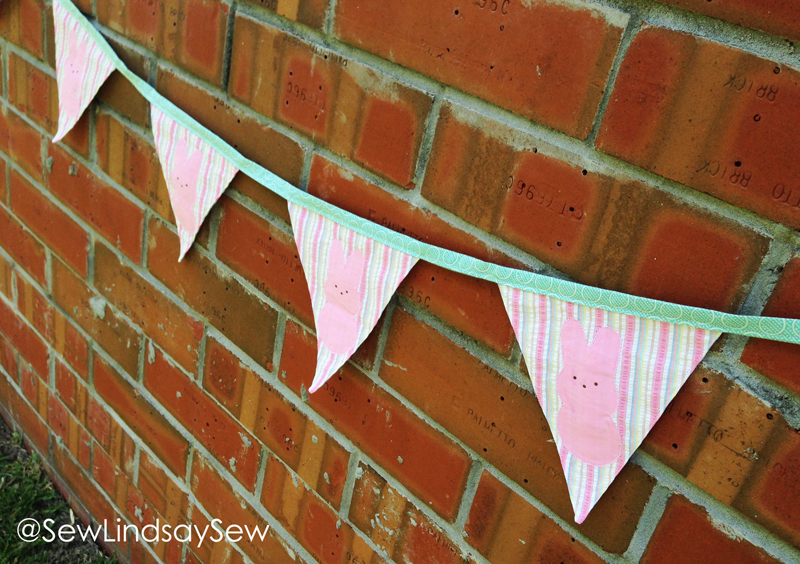 Pingback: Finally-Finished-It Friday: Summertime Watermelon Bunting | Sew Lindsay, Sew!